Daśabhūmikā (Sanskrit. Chinese 地論宗; pinyin di lun zong) was a Buddhist sect in China based around Vasubandhu‘s Sanskrit sutra of the same name (Chinese 十地經; pinyin shi di jing; ten stages sutra). It was later absorbed in to the Huayan school, which adopted this sutra as part of its own central text. Although the Korean academic circles have been involved in the main Buddhist schools and Buddhist thoughts during the Wei, Jin and Southern and Northern Dynasties, they have focused more on the study of geography and geography. The most representative is the collection of papers on the formation and transformation of the theory of geography, edited by the Institute of Buddhist Culture of the University of Korea. The paper covers four topics: the formation of the theory of geography and the relevance of the theory of the earth. The literature, the relationship between the theory of geography and other Buddhist studies, and the transformation of the theory of geography into the ideology of Huayan. The reason why the study of the philosophical sects and their geography thoughts has become a hot topic in the study of Buddhism in the Wei, Jin, Southern and Northern Dynasties in Korea, is that: The geoscientology and geography thoughts have important research value. The translation of the related literatures on the «Ten Di Jing» and other places influenced the translation system of Chinese Buddhist literature at that time and later, and created an opportunity for the sinicization of Buddhism. The school of geography can be said to be the source of Hua Yanzong, and it is the earliest Chinese school of knowledge. 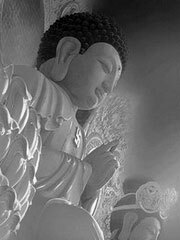 In the history of modern Buddhist studies, research has been in a weak position because of the existence of the works of the sects of the sect. It was not until the 1960s that Japanese Buddhist scholars began to collate and study the geoscientific works in Dunhuang’s unearthed literature, and the situation changed. Although half a century has passed, the current academic research on geography and geography is still insufficient. Therefore, the Korean academic community represented by the Institute of Buddhist Culture of the University of Korea has focused more on the study of geoscientology and geography, and is also to improve this situation. In addition to paying attention to the Buddhist literature of the Southern and Northern Dynasties discovered in Dunhuang and the study of geosciences, the Korean academic circles also focused on the study of the Dacheng Four Theories of Xuanyi, which paid little attention to Chinese academic circles.